Kevin began his massage career in 2014 after developing a passion for massage as a client. After receiving regular massage for 20 years from multiple modalities and close to 100 practitioners, Kevin was able to pick from the most effective techniques as he began his own practice. With more than 1,000 hours in formal training and hundreds of hours of adapting to client needs, Kevin is able to tailor therapeutic sessions to each individual client and their needs. 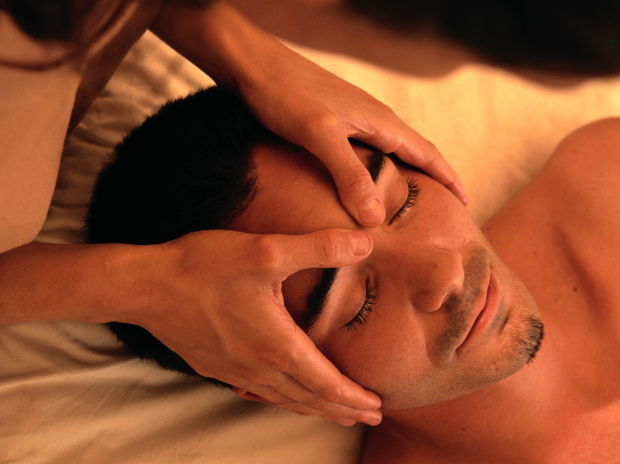 Kevin is trained in Thai Massage, Swedish Massage, Neuromuscular Therapy, Lymphatic, Deep Tissue, Trigger Point Therapy, Myofascial Release, Muscle Energy Technique, Lomi Lomi, Hot Stone, Prenatal, Infant Massage, Pediatric, Oncology Massage, Palliative Care Massage and Hospice Massage. Therapeutic massage for all ages. Providing clients with a full range of massage modalities in client's homes. Providing chair massage for grand openings, employee appreciation days, health fairs, and local business events. Providing full time medical massage to chiropractic patients. Providing a wide range of massage modalities in a spa environment. Providing chair massage to those in care at Assisted Living Facilities within the Columbus area. Providing massage at monthly fundraisers for church. Providing massage therapy for hospice patients as well as Grace Hospice staff during staff and Nurse Appreciation Days. I always feel so much better after my massage. Kevin is a skilled massage thereapist who I always feel comfortable with. He is very personable and easy to get along with. You can have conversation during your massage or relax and say nothing. I've been to therapist who want me to talk to them about my day and life and they never stop talking. Kevin allows me to dictact how the converstion will be that day. I highly recommend him and the Jai Center for Wellness. Kevin was great! Very professional and knowledgeable. He shows a true passion and dedication his work. If we could give more than 5 stars we would. We'll see you very, very soon again! Kevin is my hero! I always feel comfortable, relaxed, and well cared for! Thank you Kevin! Explained everything that was wrong and why I’m gavj g pain. Also showed me a great stretch to help! Very professional and works on what is bothering you, a more personalized treatment. Amazing operation. This was wonderful massage experience. Kevin gave me an overview of what to expect during my time with him. He is so calm and great at giving visual cues and explaining when I asked questions. I look forward to scheduling again. Thank you Kevin! Great hands. Good awareness of what my muscle and connective tissue needed, and what more needed to be done. Good results. What more can one ask for with a medical massage? The treatment Kevin gave me was much better than what the doctor ordered, because it didn't cover up my pain, it took it away! The herbal compress massage increased the range of motion in my neck tremendously after just one treatment! The treatment relaxed my muscles and my mind, and the aroma of the herbal compress made it that much more enjoyable. Thank you Kevin, for sharing your healing touch! The variety of modalities, stretches and even the imagery used in my treatment made me feel like renewed, mind, body and spirit. Loved the atmosphere and Kevin's technique.